(Shake well) For children over 1 year of age. Use 3 times a day. according to body weight. Under 25 lbs: 5-10 drops, 25-50 lbs: 10-15 drops, 50-75 lbs: 15-20 drops, 75-100 lbs: 20-25 drops, Over 100 lbs: 25-30 drops. For children under 1 year of age consult with your health care advisor. Drops can be mixed in a small amount of water or juice. Discontinue if unusual symptoms occur. Consult your health care advisor regarding the use of herbs during pregnancy, with infants, or with prescription drugs. 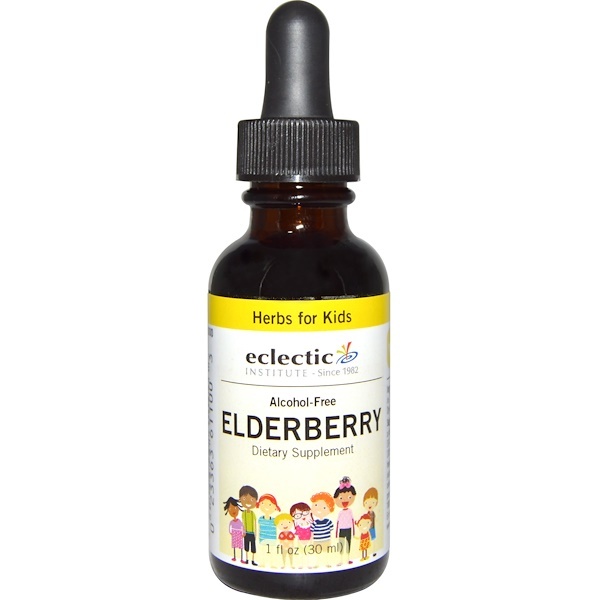 Dried elder berry (sambucus nigra), kosher vegetable glycerin: 75%, filtered water, ascorbic acid, 35-45 mg per ml (30 drops). 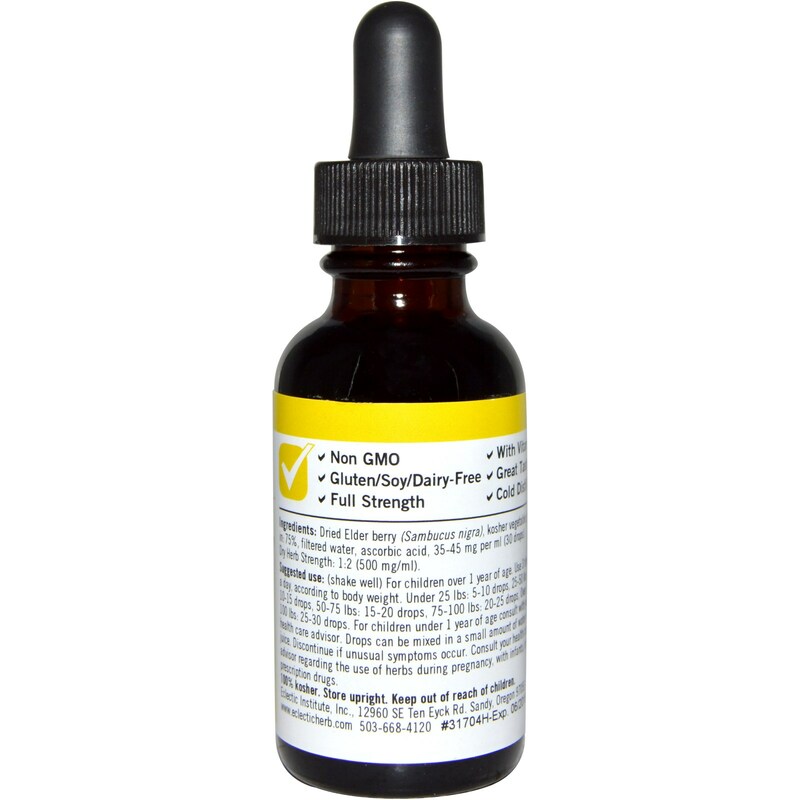 Dry Herb Strength: 1:2 (500 mg/ml).